Milan Design Week 2018: Know All the Design Brands You Need to Visit ⇒ From 17-22 April, every design enthusiast and professional stops in the majestic city of design and fashion, Milan, to celebrate one of the biggest happenings in the industry, Milan Design Week. 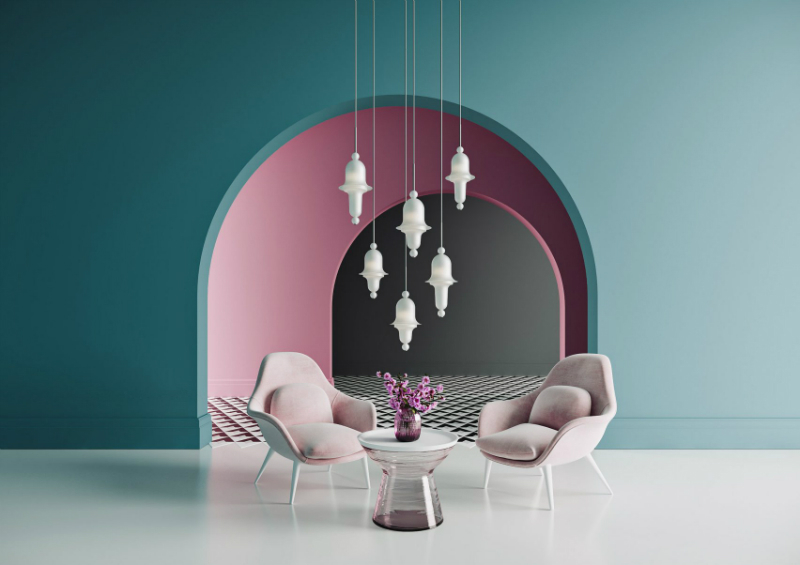 Fuorisalone and Salone del Mobile 2018 rule the city during this special time, counting with the participation of hundreds and thousands of designers and brands that are eager to showcase their labour of love to the world. 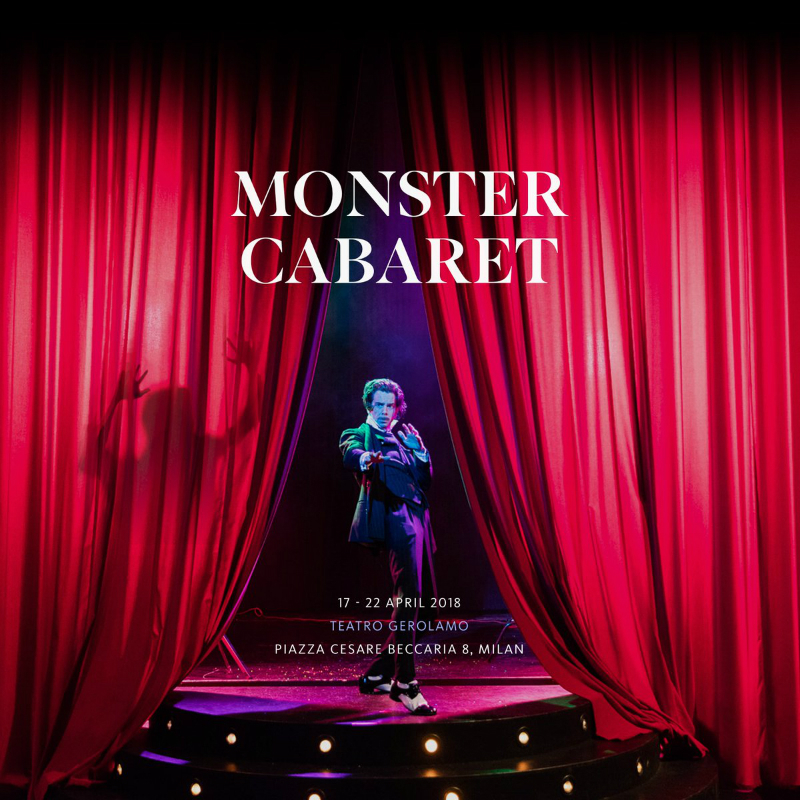 Fuorisalone also hosts a wide variety of design exhibitions and events throughout the city, including in some of the city’s most beloved spots, namely Brera, Tortona, Ventura, Isola and countless others. 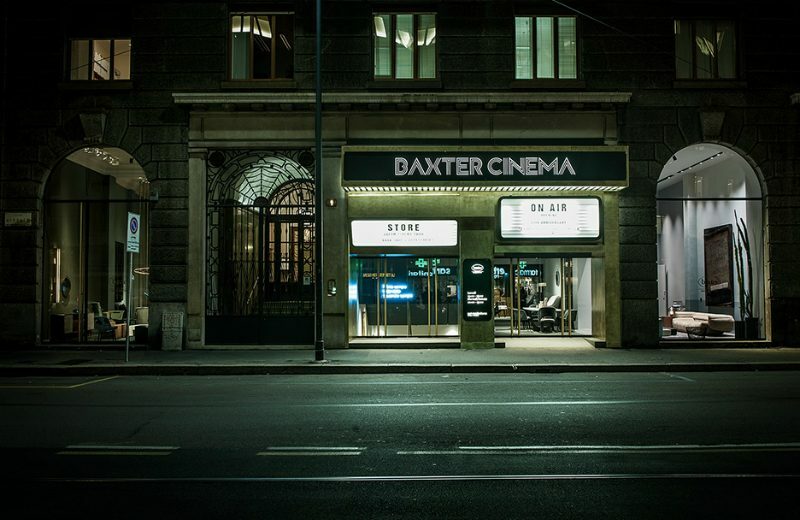 Like every year, the whole project is born from the idea of creating different and unexpected rooms that could pleasantly surprise through a course made of big spaces and rooms of marvels, magic boxes revealing the research of materials, colours and forms that Baxter proposes every year as inspiration sources. Read More. 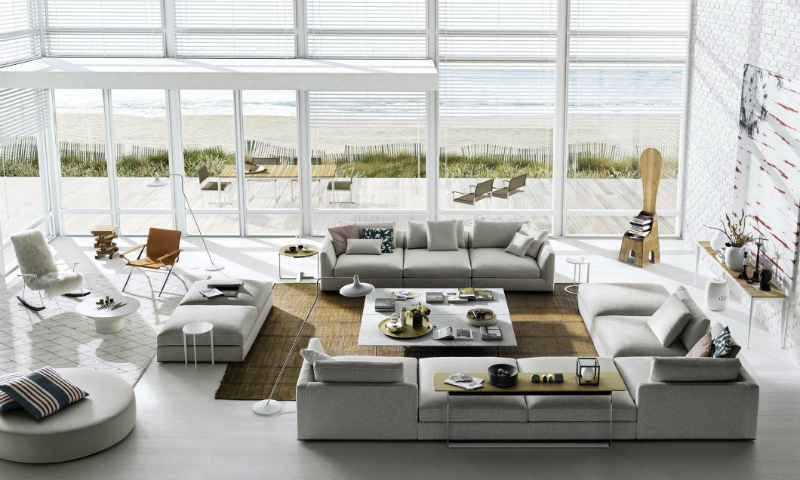 B&B Italia’s new product proposals are the result of an extraordinary creative path that has converted initial ideas into products of real design. Each will be presented in diverse ways and environments. Read More. 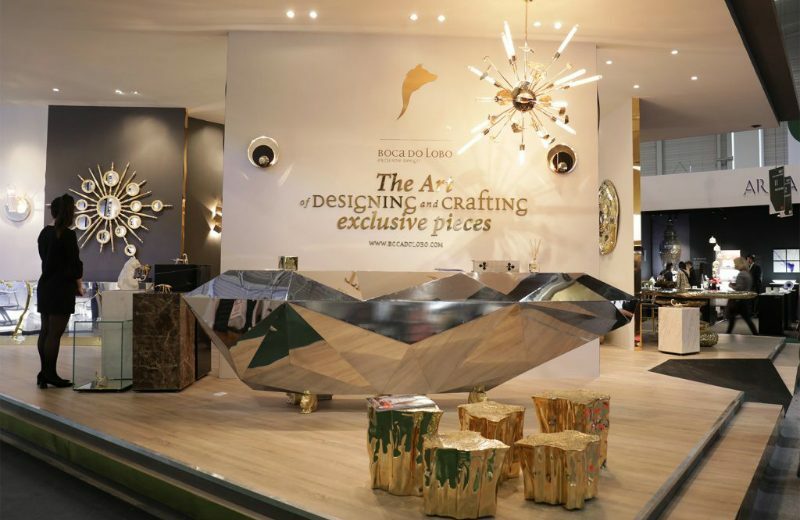 At iSaloni 2018, Boca do Lobo will present a narrative written by the hands of their talented craftsmen and the mind of their brilliant designers. 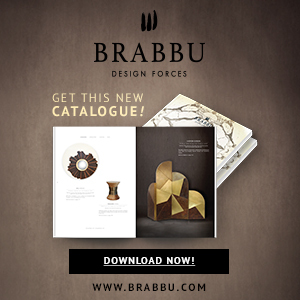 A story that honors ancestral arts and Portuguese’ crafts creating unique modern design pieces. Read More. 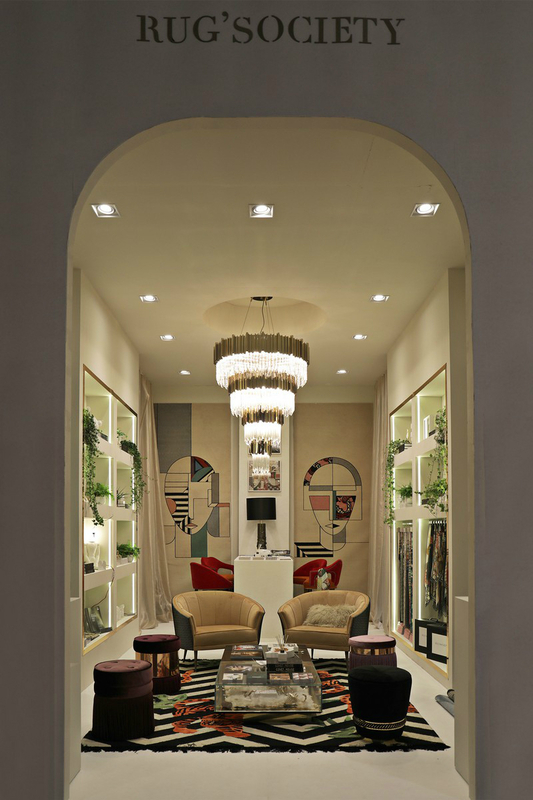 The Portuguese luxury brand will also be a part of Lladró’s showroom at piazza fontana 6, 20122 milano. 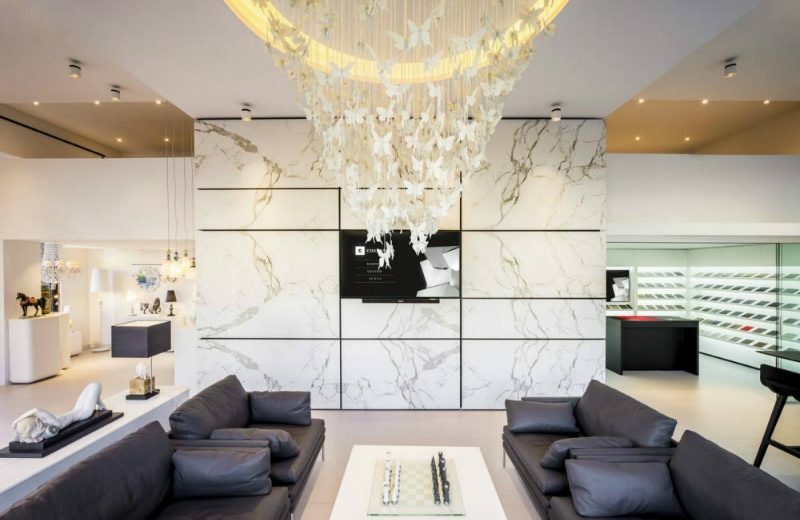 Boffi Solferino extends its showroom space and opens a third entrance on Largo Treves. 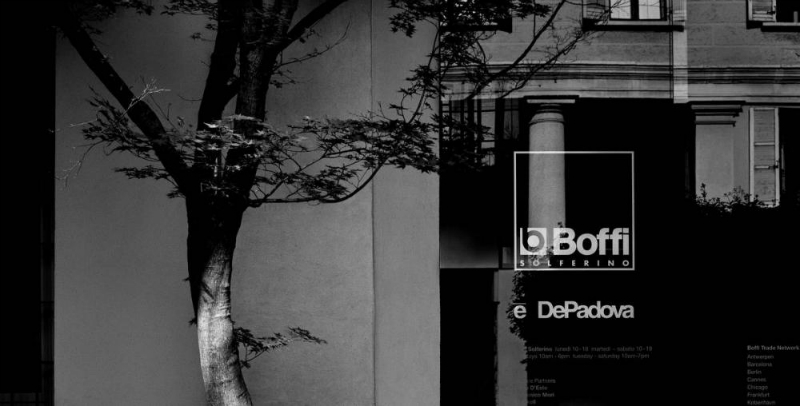 An opportunity to discover the Group’s 2018 collections and novelties by Boffi, De Padova and MA/U Studio during the Milan Design Week. Read More. Brabbu will take a different approach with a new concept which will be a step forward into a more modern and cosmopolitan style. 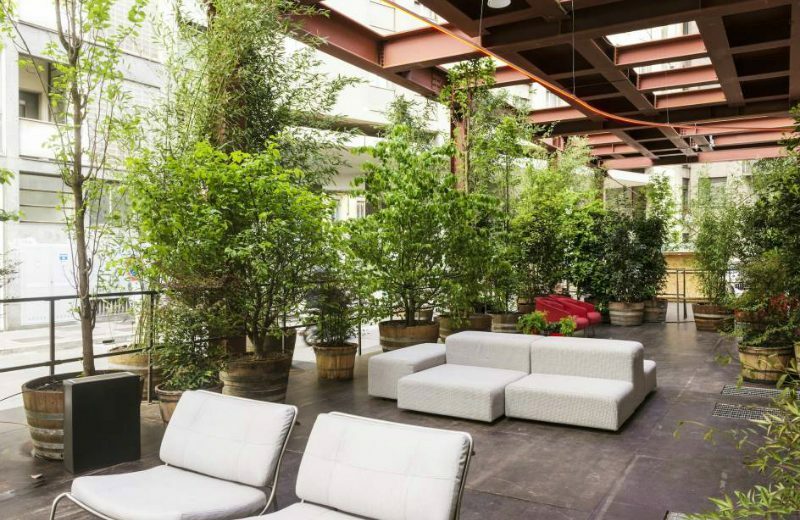 The brand will present five diverse elements, including a set of decorative pillows and an office space. Read More. Covet House, as an important vehicle and instrument to enhance creativity among the design community, will be in present with a lounge area – Covet Lounge – where the group brands like Boca do Lobo, Brabbu, DelightFULL, Koket, Maison Valentina, Luxxu, Essential Home, Rug’Society and PullCast, will be represented. Read More. 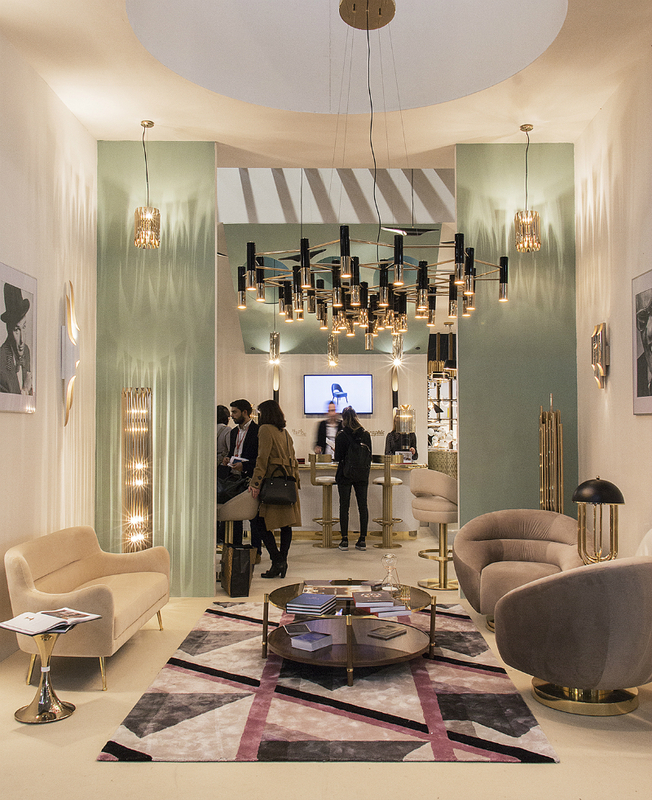 DelightFull will take a different approach by giving a unique twist to its legendary mid-century lighting classics, especially the Brubeck Family with the massively exuberant Spiral lighting piece making its trade show debut. Read More. Dimore Studio will be presenting three different exhibition throughout the course of Fuorisalone 2018, including Perfettamente Imperfetto and Limited Edition. Read More. Edra Spa makes expert use of the skills which are present in the area and succeeds in developing innovatory products, revolutionizing in some instances the traditional production of padded furniture. Read More. 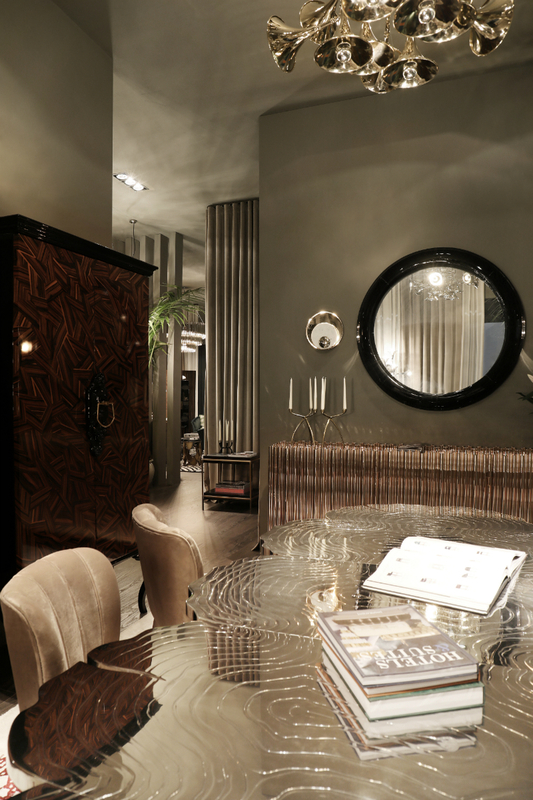 Essential home will bring to Milan a classic novel with characters that will stay in your everyday vocabulary. You can expect to see some of the brands most iconic designs, which were inspired by the glamorous Hollywood life and its main characters. Read More. On the occasion of the 22nd edition of Eurocucina, we are pleased to invite you to discover the new FENDI Cucine collections at the Salone del Mobile in Milan, from 17 to 22 April 2018. Read More. 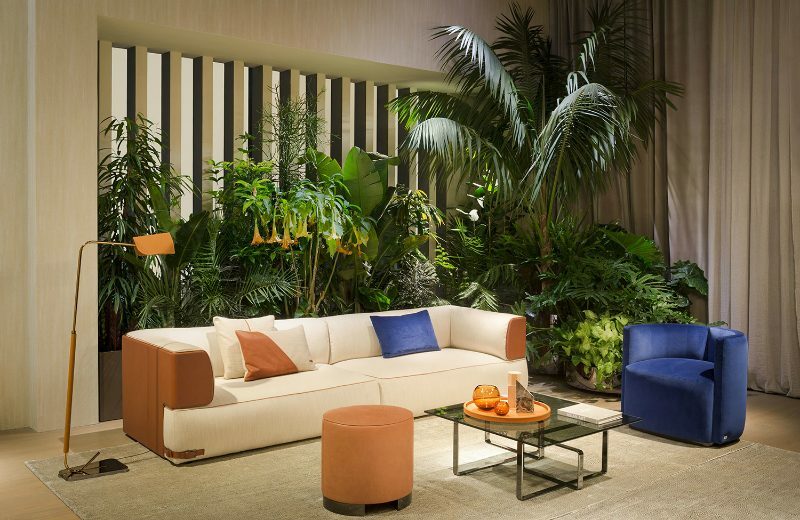 Hermès will present its latest home textiles, furniture, furnishing fabrics and wallpaper collection at the Museo della Permanente, in a space designed by Charlotte Macaux Perelman, deputy artistic director for Hermès Maison, with the curator and publisher Alexis Fabry. Read More. The world is evolving and becoming smart. 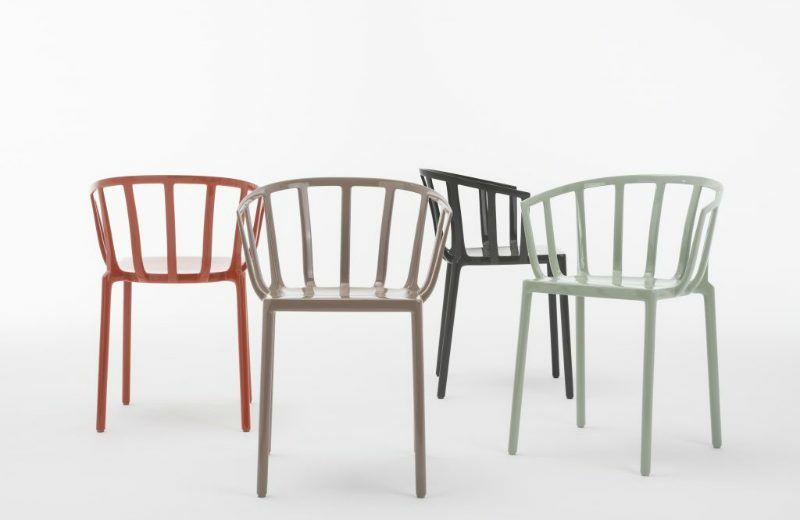 Kartell could not remain unaffected by this revolution and has become smart by means of technological innovation, in the use of objects as well as the chosen materials. Such important topics do not require superstructures or decorations to be told. Read More. The brand’s stand will feature enticing designs from Philippe Starck, Piero Lissoni, Tokujin Yoshioka, and many others. 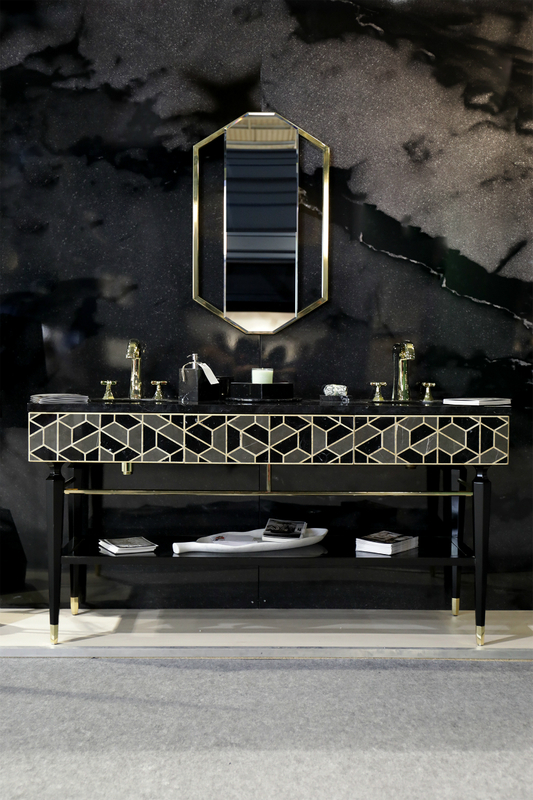 Kartell by Laufen will be exhibiting at Hall 24 – Stand F 21 G 24 and you can also visit their showroom in via Pontaccio 10. 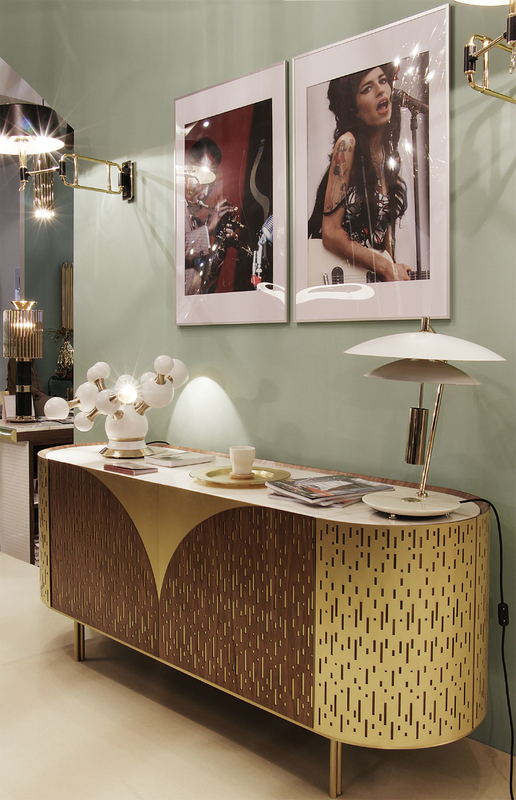 Lladró showcases at its showroom of Milano its spring/summer collection integrated into lifestyle proposals in a perfect combination with Boca do Lobo furniture, two brands for one unique lifestyle. Read More. Living Divani takes part in the INTERNI HOUSE IN MOTION exhibition, promoted by INTERNI, to be held from 16th to 22nd April at the FuoriSalone 2018 in Milan, in the AUDI CITY LAB location. Read More. 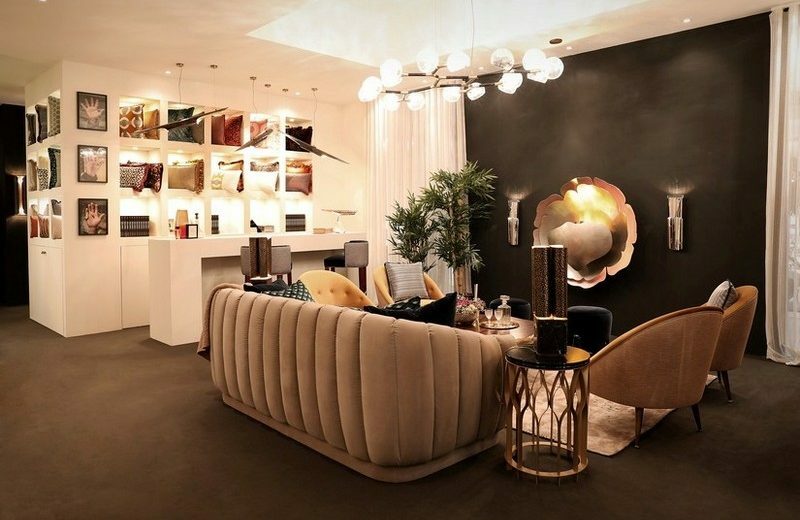 Bringing the newest furniture collection to Milan, Luxxu and its team want to inspire the design world with the brand’s luxurious and timeless designs, evoking the brand’s mission: bringing boldness and distinctiveness into the design world. Read More. 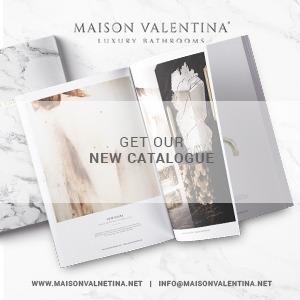 Maison Valentina will present three of its most iconic design collections, including Symphony and Newton as well as the brand-new Ato collection. 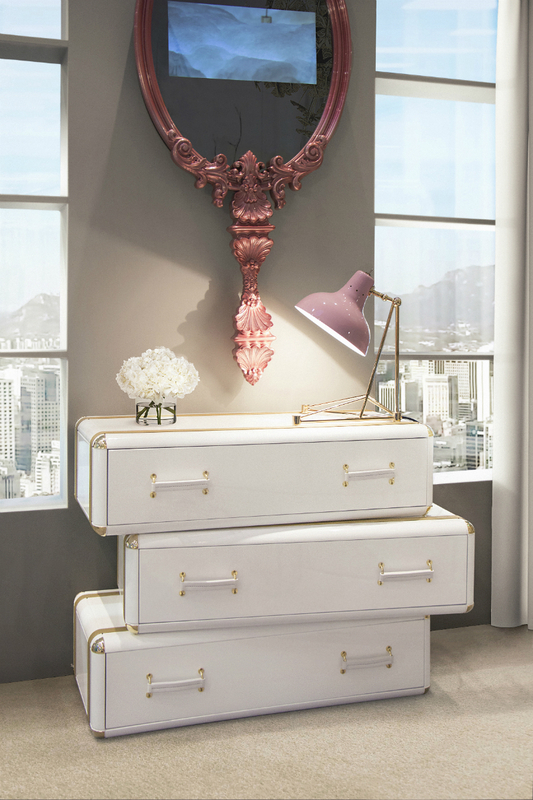 The luxury brand will also present four stunning wall mirror designs. Read More. 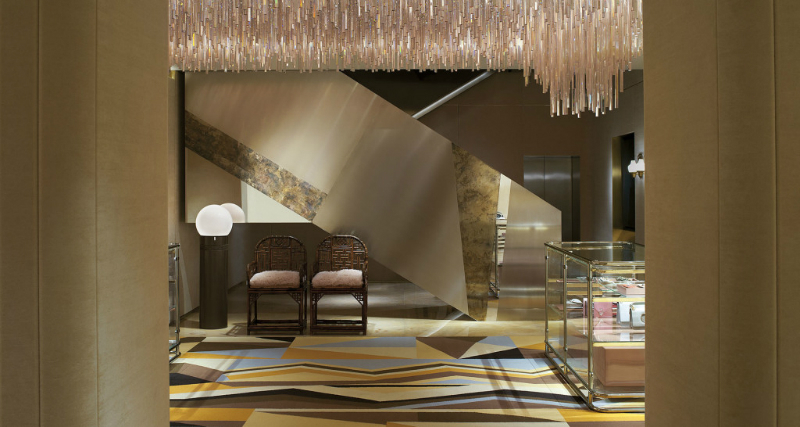 This year, the luxury brand will present a collection coordinated by Rodolfo Dordoni. 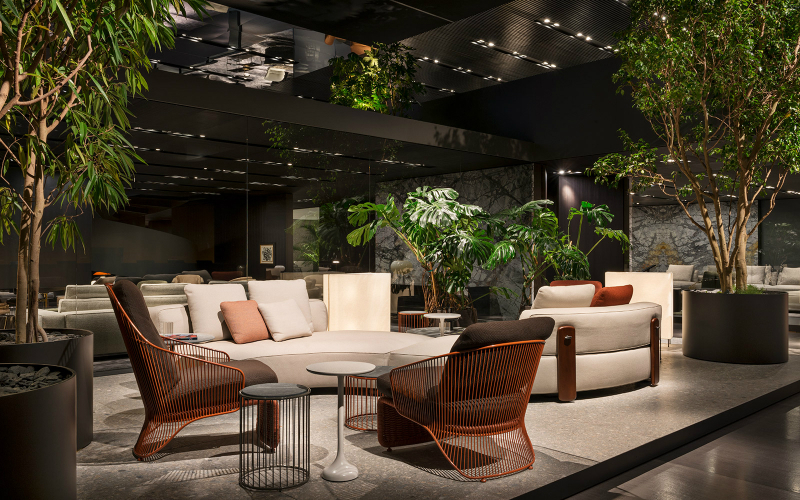 According to Minotti, new conceptual philosophies looking to the future give life to an eclectic collection defined by its international imprint. Read More. 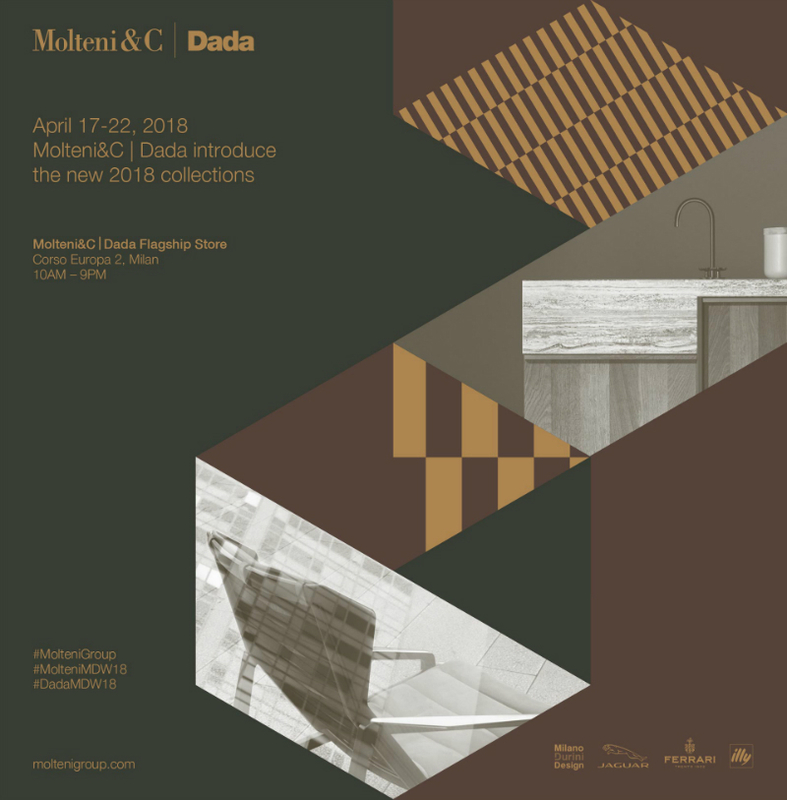 Double showing in Milan during Design Week for the Molteni Group companies: Salone del Mobile.Milano for Molteni&C and Eurocucina for Dada. Two huge exhibition spaces – Molteni&C almost doubles its showcase compared to last year’s Salone in addition to the Milan Flagship Store new display. Read More. In Milan, you will be able to experience a timeless adventure through two phenomenal exhibitions. 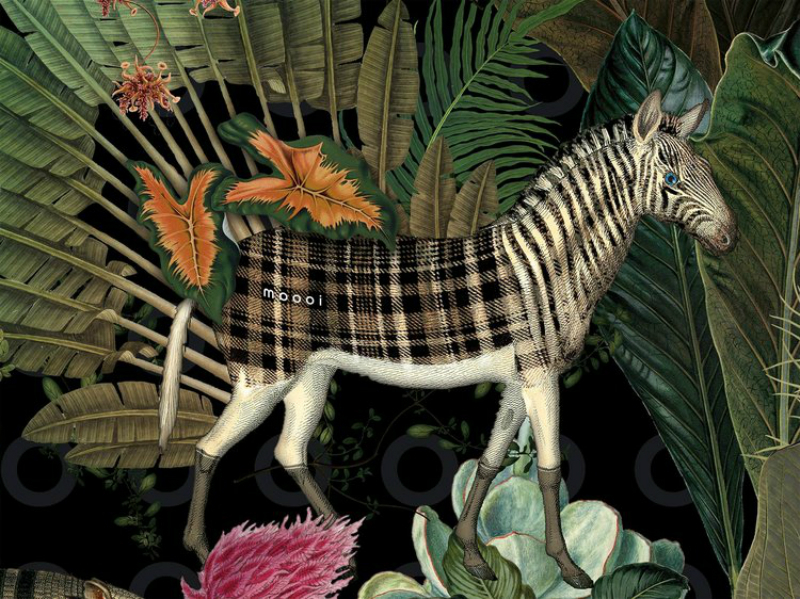 Moooi Through the Eyes of… created by interior design practice Megan Grehl and Concrete Architectural Associates as well as The Museum of Extinct Animals which will be all about textures, shapes and patterns, celebrating the diversity of nature. Read More. In 2015, Nina Yashar, one of Milan’s most proficient design dealers and modern gallerists, opened the doors of the Nilufar Depot, a three-storey showroom that showcases design rarities. 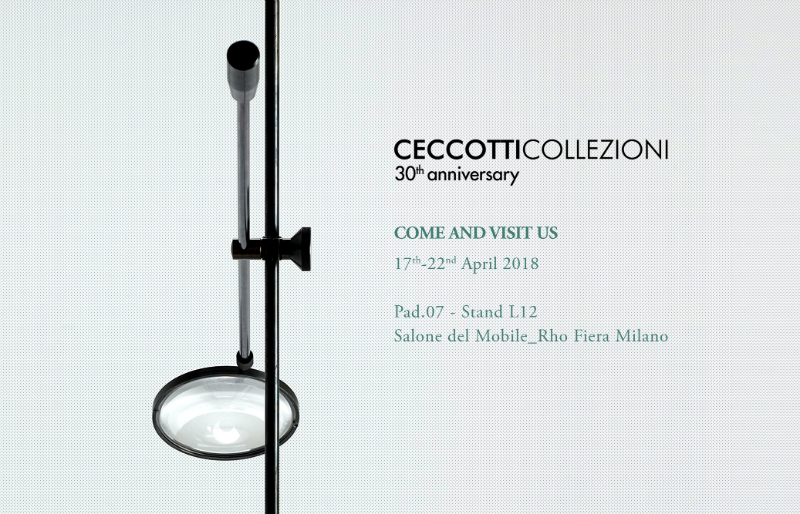 With the arrival of Milan Design Week, this makes the perfect opportunity for design lovers and collectors to visit this exceptional place at Viale Vincenzo Lancetti. 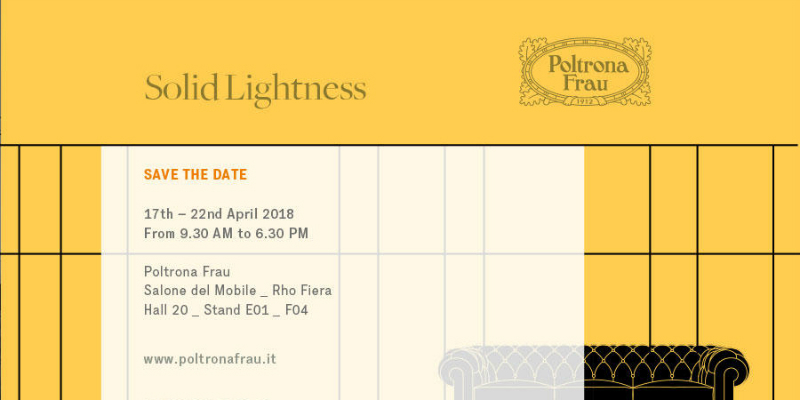 Discover Poltrona Frau’s modern furniture collection: sofas, armchairs, tables and office furniture made in Italy by the best contemporary designers at their Solid Lightness exhibiton at SALONE DEL MOBILE 2018. Read More. 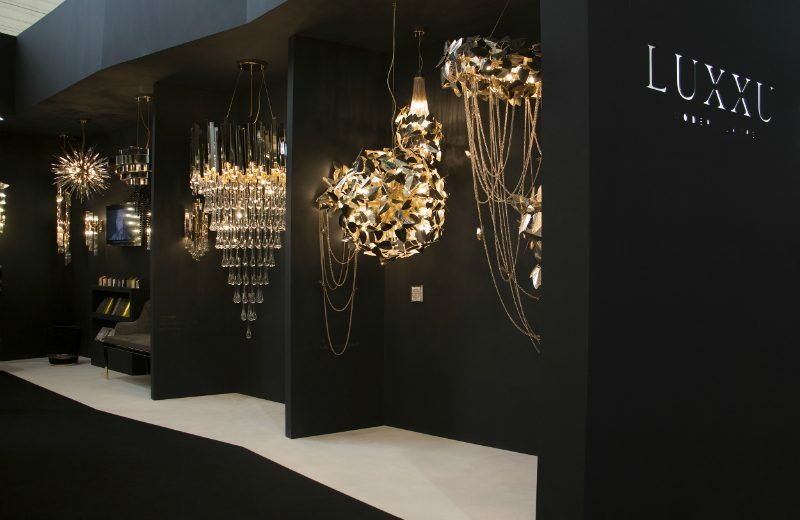 In addition to this new breath of light, Preciosa will also be showcasing a selection of both historic chandeliers and stylish pendants. Discover the glittering radiance of crystal glass lighting shining brightly in La Posteria, a beautiful hall from the early 20th century. Read More. After the assertion of the brand’s connection in the jewelry world with the Limited Edition Feu, an exclusive piece incrusted with Swarovski crystals, Pullcast is taking the next step in the jewelry hardware world with the introduction of outside door pulls in their collections. Read More. Orlandi will present “Senso di Colpa”, a massive project dedicated to recycled/recyclable plastic with exhibitions, talks and video projections. In the gallery, discerning visitors will be able to see pieces by Dirk Vander Kooij, Massimiliano Aadami, Pentatonic, and many others. Rug’Society will make its debut at Salone del Mobile, with the introduction of two exciting elements into its collection: Pillows and wallpapers will be the new additions to the brand’s decoration elements. Read More. 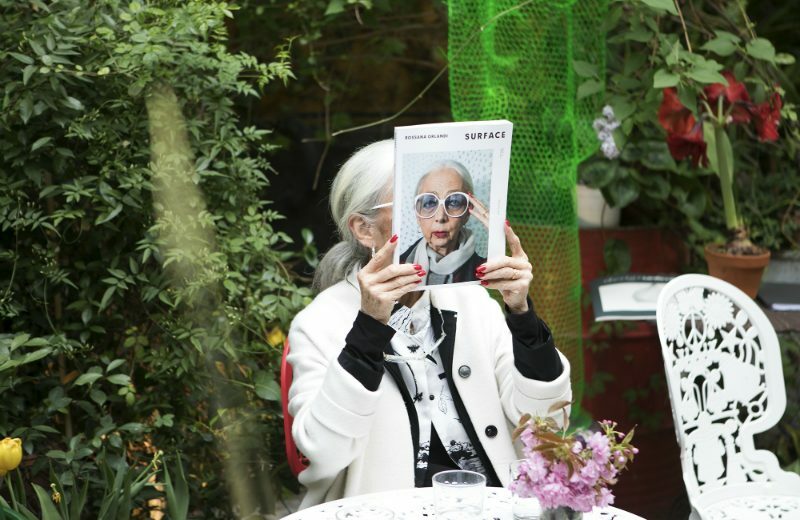 In celebration of Surface Magazine’s 25th Anniversy, the Diner was served. 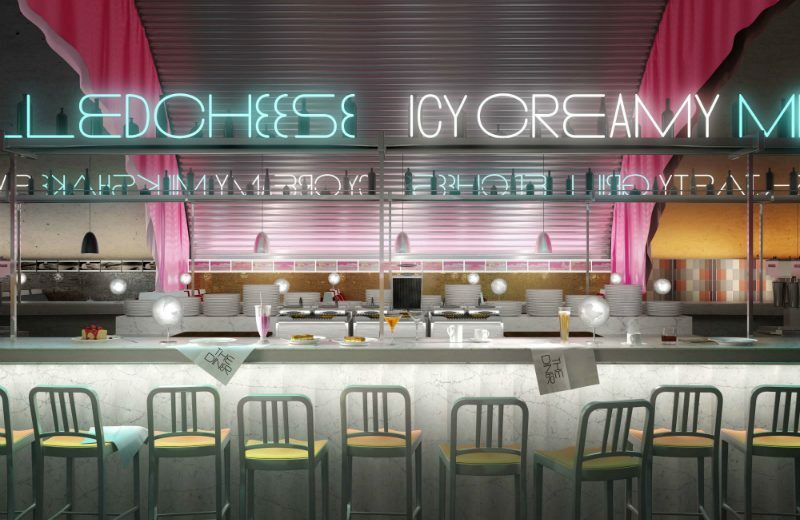 Surface will join forces with renowned designer and architect, David Rockwell, to present a unique exhibition that celebrates American designer, showcasing an unforgettable contemporary interpretation of the archetypal roadside restaurant. Read More. 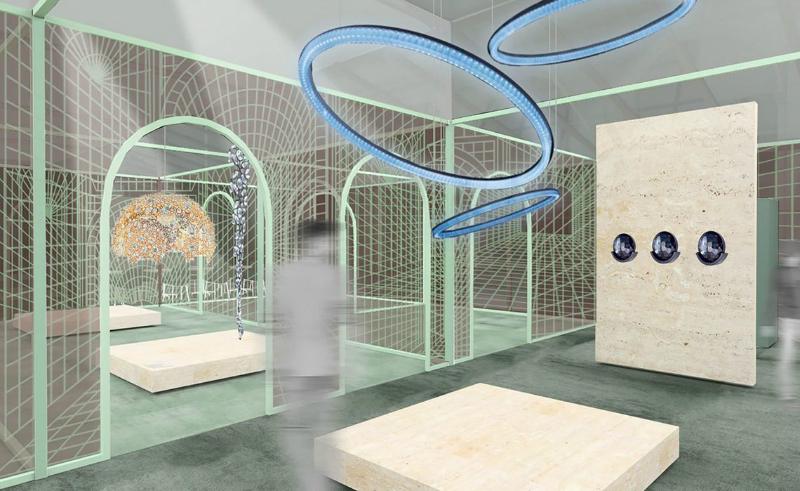 Swarovski presents ‘Swarovski Palazzo’, a site-specific installation in a grand greenhouse set within a hidden courtyard of a neo-classical Milanese palazzo. Read More. During this year’s Milan Design Week, Vitra will supplement its exhibition stand at the Salone del Mobile furniture fair with a large installation “Typecasting. 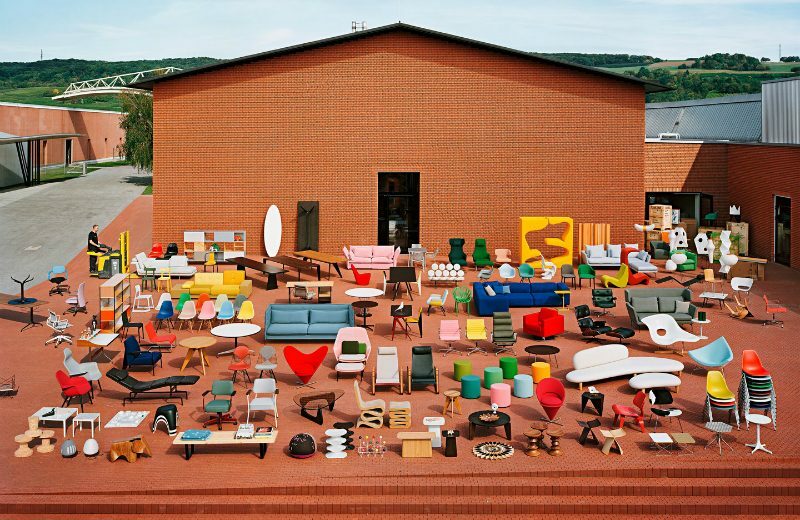 An Assembly of Iconic, Forgotten and New Vitra Characters” in the former sports arena La Pelota. The exhibition is curated by the designer Robert Stadler. Read More.